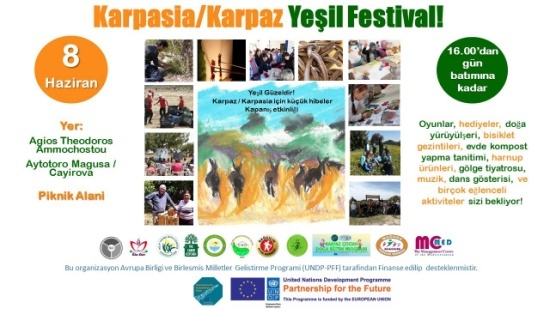 On June 08 there will be a festival in Cayirova for the protection of environment in Karpaz; there will be lots of activities starting at 16:00 hrs in the picnic area. 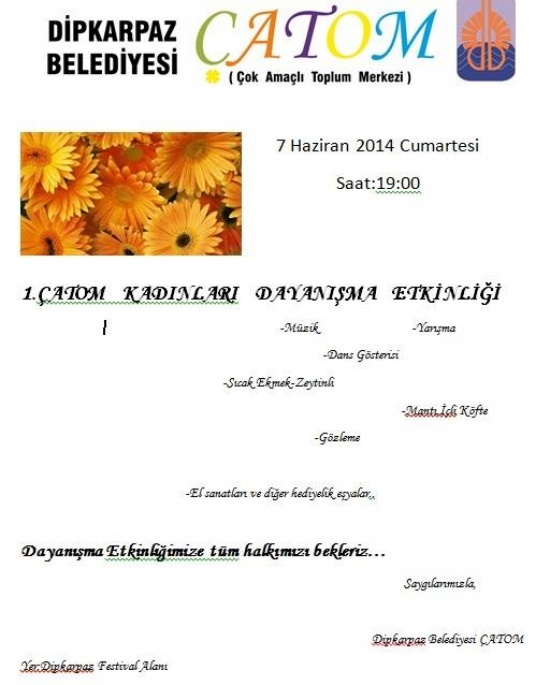 See the poster. What is Knit Art? 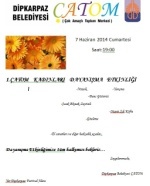 Last year I wrote an article about the activity under Cyprus Art News No. 553 – The Knit Art Sisters in the Bandabuliya – look it up for pictures of their art work. 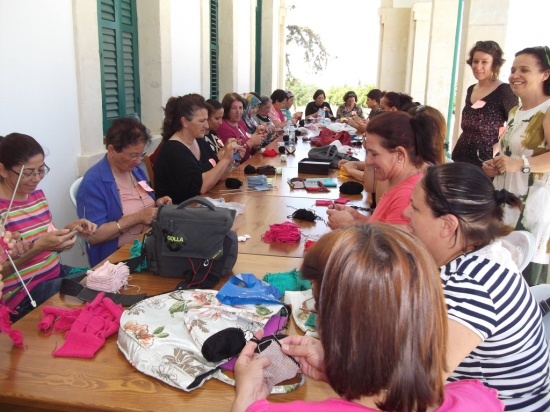 I wrote: ….The Knit-Art project implemented by McMed Management Centre and Ayten Hüseyin brought together 40 women from 3 different villages in the northern part of Cyprus under the umbrella of a newly created knitting cooperative called Sisters. 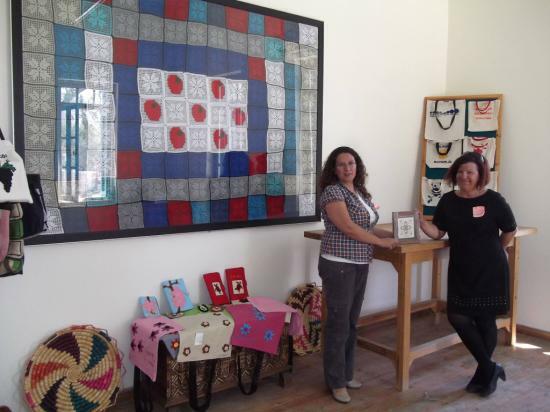 I heard of that event and went the other day to meet Ayten in her shop in the Bandabuliya Nicosia where she also keeps some of the art works done by the cooperative. I bought two necklaces and a matching bracelet, really delicately done. Also the other things are expertly done like handmade handbags, socks, bed shoes and many more knit art. These are the things that should be shown in the Bandabuliyas, handmade art by local women. The cooperative ‘The Sisters’ were given a knitting machine to do some more work for sale. Unfortunately, Ayten told me, she had to close her shop at the Bandabuliya because since the renovation the flow of visitors has decreased considerably but she now concentrates on her teaching and organising the women’s activities, you will find the groups on festivals or you can contact Ayten on facebook.